Blackmans also provide exclusive leather Interiors for Jayco Australia. Jayco is a great Australian success story, founded in 1975 by Gerry Ryan; Jayco quickly established how to start a research paper on reptiles itself as leading player in the Australian recreational vehicle (RV) industry. 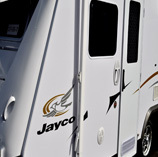 And now 50% of all recreational vehicle sold in Australia are made by Jayco! Blackmans Leather is proud to work in conjunction with Jayco to make their Motor homes, Caravans and Camper trailers the most sort after vehicles in Australia. And like you, Jayco’s discerning customers want the quality, luxury and durability that only leather can provide. Leather will always provide timeless appeal. No other medium can match the superior texture, durability or level of comfort that leather provides. 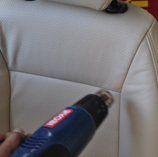 The softness, warmth and aroma of the finest leathers will not only write your paper in 3 hours enhance and retain the value of your vehicle, it will actually guarantee a superior level of motoring comfort and enjoyment. Blackmans can give your current vehicle the look and feel of a brand new RV at a fraction of the cost of having to upgrade!